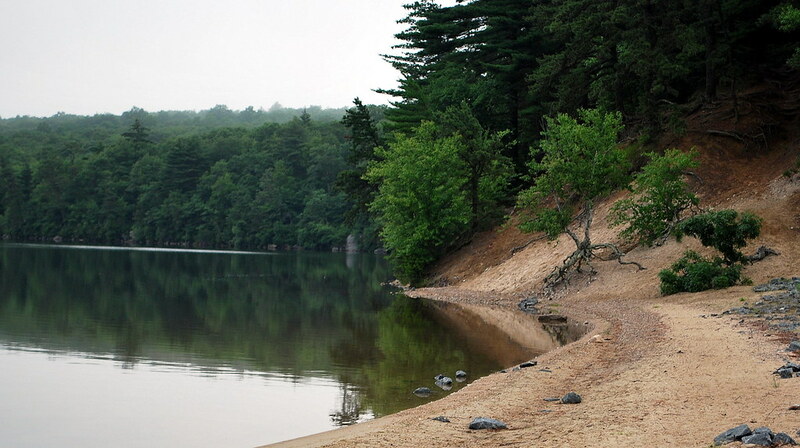 On Route 165 in Rhode Island - straddling the Connecticut State Line - lies Beach Pond beach, part of the Arcadia Wildlife Management Area and a great place to go swimming when I was a kid long, long ago. 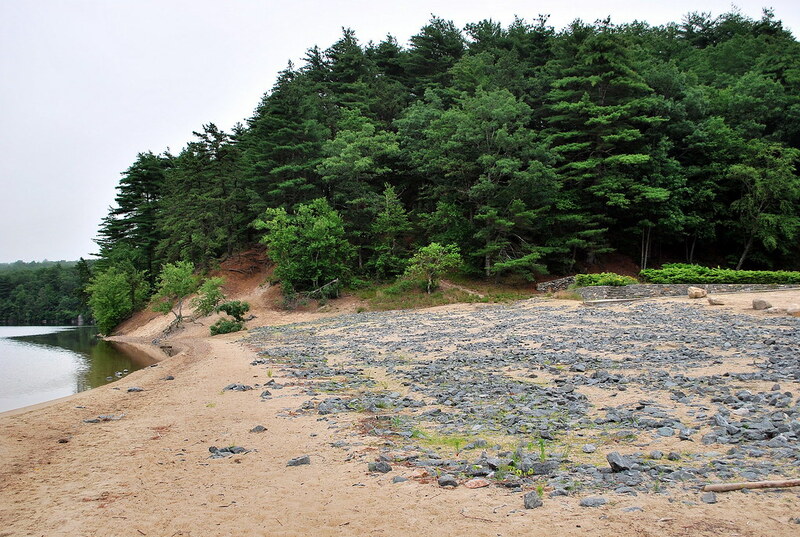 Unfortunately, swimming at Beach Pond was prohibited several years ago due to a cut in funding for lifeguards in the Rhode Island state budget. Since then, the bathhouse that used to stand on the beach has been torn down and the beach strewn with rocks so that people aren't tempted to swim there illegally. I stopped by Beach Pond briefly on way back from dropping a friend and her mother off at the airport near Providence, Rhode Island this morning and snapped a few pictures of the once lively beach area. I had hoped that maybe - just maybe - the sun would make an appearance and I could capture a sunrise while I was up at the unprecedented time of before dawn but alas, the sun chose to hide behind the clouds yet again. Sometimes it's hard not to look at nature and remember the words of the Lord, isn't it? I wonder how deep the roots of this tree run and how long it's been hanging on to the edge of the pond? you nailed that thought head on! Precisely! 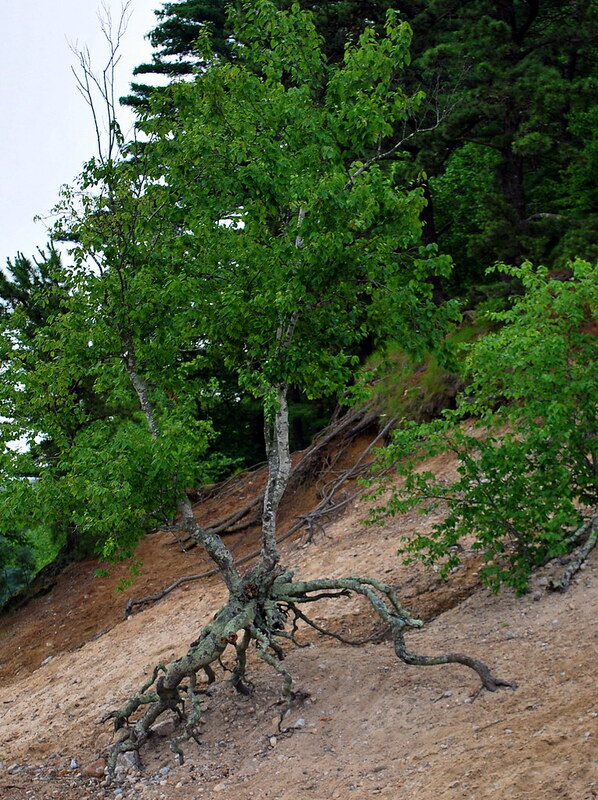 That tree looks like a baby Ent, roaming the forest. Very cool pic - but then all your pics are incredible!